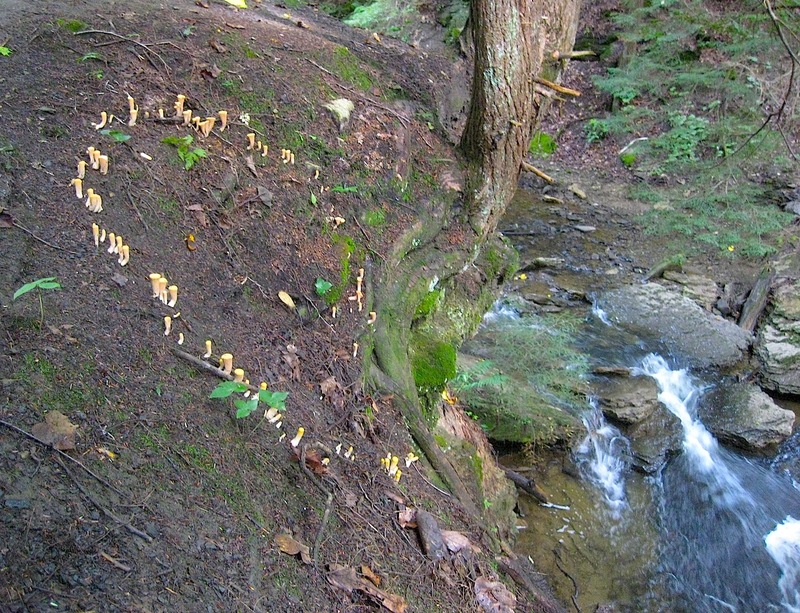 I recently stumbled upon this fairy ring of Clavariadelphus mushrooms, a genus characterized by its club-shaped fungi. This mushroom is most likely Clavariadelphus truncatus, the “flat topped coral mushroom,” and can usually be found among coniferous woods in late summer and fall. It is shown here growing under the eastern hemlock (Tsuga canadensis). All species of Clavariadelphus are considered to be edible, though some are much more palatable than others.